Our Kitchens characterise us. No room speaks more eloquently of our rapport with our home, with us and with others - from the minimalism that conceals everything in the purity of line, to the full-exposure solution where dishes, pots and pans remain on proud display on open shelves. With its personality, Corian® lends itself to almost any style of kitchen design. It permits the assembly of sinks, counters or wall panels without visible seams, creating a harmonious hygienic solution. With a coved backsplash, there are no traps to collect dirt and moisture. Corian® is a market leader for kitchen work surfaces; it has a proven record of versatility, durability and the ability to be repaired, a rare commodity in today’s world. 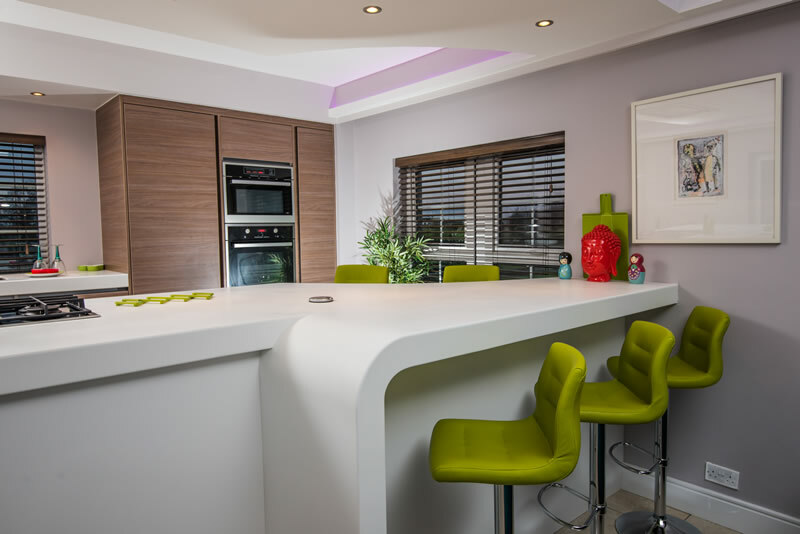 DuPont™ Corian® solid surface is perfect for a range of kitchen styles, from hi-tech to traditional, from coolly minimalist to warm and homely. Offering extraordinary design flexibility in a wide range of vibrant colours, Corian® is ideal for worktops, backsplashes and integral sinks, and many other exciting applications. It offers inconspicuous seams and a sleek, hygienic, nonporous surface. We offer a full range of Corian® sinks to suit all applications or will under mount a stainless steel bowl of your choice. As part of DuPont’s quality network our workmanship and the Corian® product is covered by a 10-year warranty.